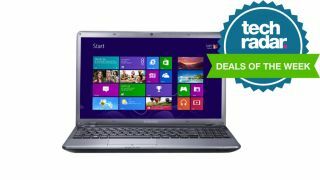 In this week's round-up of deals, we've found a bargain priced Core i7 laptop from Samsung for £479.99. It packs a Core i7 3630QM CPU running at 2.4Ghz, 8GB of DDR3 RAM and a 1TB HDD. Our Associate Editor Dan Grabham says: "This Samsung laptop is a steal. With a Core i7 processor, it can handle extreme tasks and is also great for games. It's terrific with Windows 8, and the large 15.6-inch anti-reflective screen is also excellent for looking through pictures and watching video. Plus, as there's a cavernous 1TB hard drive, you'll never be without your media." Another deal of note for console lovers is the new Nintendo Wii U for £149.99, saving £50. This is the new contender from Nintendo, and as you'd expect, it takes a totally different approach to the competition. If you have an original Wii, your old controllers will work with this new model for multiplayer fun, plus you also get the tablet-style controller for dual-screen gaming. There are plenty more deals below if these don't take your fancy. Have a quick look and save yourself some cash on your next tech purchase. And that, deal fans, is your lot this week. As ever, if you spot a good deal then post a comment and we will update this article with new deals on Monday.